Amazon.com wrote:Big data has more disruptive potential than any information technology developed in the past 40 years. 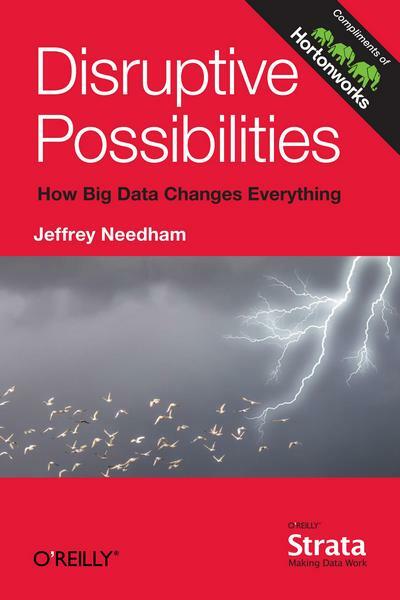 As author Jeffrey Needham points out in this revealing book, big data can provide unprecedented visibility into the operational efficiency of enterprises and agencies. Jeff Needham is the founder of Scale Abilities, Inc., a Silicon Valley consulting firm, and does ecosystem platform engineering at Hortonworks in Palo Alto, California. With 25 years experience in both hardware and software engineering, he is a frequent writer and speaker on topics of database performance and scalability, platform engineering and Hadoop cluster technology.